At the moment Mary Halvorson is one of the most prolific and interesting musicians at the interface of improv, jazz, rock and avant-grade. Apart from playing in various ensembles by Anthony Braxton, Trevor Dunn, Ingrid Laubrock and Taylor Ho Bynum, she has recorded several albums as a leader. Among others she has released outstanding albums as different as Away With You (with her Octet), Paimon: Book of Angels Vol. 32 (the final chapter of John Zorn’s Book of Angels series, with her Quartet) and Crop Circle, her duo with Sylvie Courvoisier in 2017 alone. For Code Girl she has expanded her Thumbscrew trio (with drummer Tomas Fujiwara and bassist Michael Formanek) to a quintet, adding trumpeter Ambrose Akinmusire (one of the new stars of the Blue Note label) and vocalist Amirtha Kidambi, which follows a certain pattern Halvorson has used when it comes to her song-orientated projects: the integration of additional instrumentalists to her basic rhythm group. Halvorson has made considerable progress as a composer over the past years, blending different styles to create a music beyond any genres, in which melodies and harmonies are the basis for extensive improvisation and harmonic expansions. Warped contortions, compositions that consist of seemingly incoherent fragments, surprising twists, ricocheting unison lines and lush arrangements are fundamental elements of this system. The music is generally rooted in jazz, mostly because of the freely swinging rhythm section and Akinmusire’s trumpet, even if Halvorson’s improvisations reflect a certain admiration for rock guitarists like Robert Fripp and Jimi Hendrix, as well as Bill Frisell and Marc Ribot. However, the actual sensation on Code Girl is Amirtha Kidambi, who lifts Halvorson’s compositions to a new and different level. Kidambi has a wide range of influences: Trained in the South Indian Carnatic tradition, she also integrates blues, folk, Brecht/Eisler songs and European free jazz vocalists like Irene Aebi or Maggie Nichols to her style. Kidambi’s singing can be expressive and passionate, but also pleasantly baroque if necessary, sometimes engaging in improvisatory yodeling and spiraling. She has a unique conjuring power that perfectly counters Halvorson and Akinmusire when they tend to go astray. “Storm Cloud”, a song reminiscent of Robert Wyatt (“Drop the Needle“ is another one), highlights Halvorson’s hallmark sound (created quite simply by a volume pedal, and a Line 6 delay modeler and expression pedal). At the beginning it’s just Halvorson, Kidambi and Formanek's arcoing which creates a very intimate atmosphere close to a rock ballad (in a positive sense) before Akinmusire shares a cool jazz solo, which is a perfect support for Kidambi’s forlorn and dreamy performance. Finally, another quality of Kidambi is that she knows when she has to wait. “The Unexpected Natural Phenomenon“, the longest and best song on the album, starts like a lost Ennio Morricone song for “Once Upon a Time in the West“. Halvorson throws in dramatic tremolos and picking, while Akinmusire’s playing a sad melody which Kidambi foils with cool serenity. Halvorson hurls out expressive guitar phrases slaloming in front of Fujiwara’s off-the-wall drumming but then the guitar and trumpet drop out almost unnoticed. Kidambi doesn’t even bother to take the initiative here, a perfect decision, since it’s the trumpeter who keeps the track alive with controlled frenzy. It’s one of the magical moments of the album. Halvorson’s poetic lyrics are, as the album title suggests, highly encoded. Their strange elusiveness sets a counterpoint to the accessibility of the music. 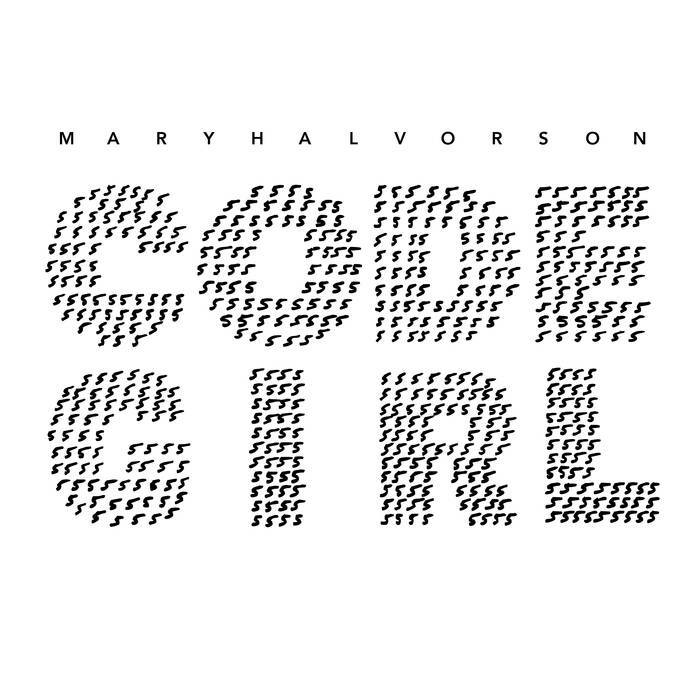 The term “code girl” is said to have been coined randomly by Anthony Braxton, but it makes sense to apply it to Halvorson herself and her idea of composition and songwriting: a brittle, intellectual approach, yet warm and challenging. Unlike the common songwriting method, the lyrics were written first and the music was built around it, with the effect that the vocals are highlighted. 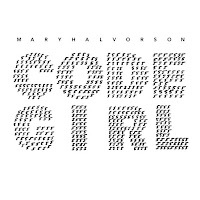 Code Girl is an excellent album confirming Mary Halvorson’s reputation as one of the most interesting composers these days. And I’m sure that we’ll hear more from Amirtha Kidambi soon. Code Girl is available as a double CD and a digital album. I was prepared to thoroughly dislike this, like some of Mazurek's past rockish things that sent me scurrying rapidly from the concert hall. But this is very good, both in concept by Mary and execution by all the participants. The vocalist was a very unexpected surprise, particularly the Irene Aebi similarities. I used to battle the Lacy fanboiz who couldn't stand Irene's singing by telling them that she was an integral part of their hero's medium sized group so maybe they weren't as sympatico with Steve as they thought. Also this was my first exposure to Akinmusire and I'm glad to see that the Downbeat/Blue Note types are getting behind someone interesting. Perceptive review although the "created quite simply" description of "Halvorson's hallmark sound" irks me; maybe it's easy to sound that way but nobody else does that I've heard. She created a musical persona as distinctive as Frisell's at a very early age and would seem to attract a lot of acolytes but nobody else sounds like her. Her long association with Braxton indicated a fertile musical mind but I had no idea that she was this good with no sign of leveling off. Couldn't agree more, Captain. When I speak of "created quite simply" I mean it looks so simple but actually it isn't. If you have seen Cristiano Ronaldo's overhead kick yesterday you know what I mean. You know that it's Halvorson on guitar after a few seconds, she has created a unique sound which is more than many others (even some great guitarists) have achieved. The Frisell comparison fits, Derek Bailey might as well. It's a very interesting record, I've been listening to it again and agin and it's still growing. Thank you for the clarification, Martin; consider me unirked.